Having an effective business card is not as simple as listing your name and contact information on a small 85x55mm card. 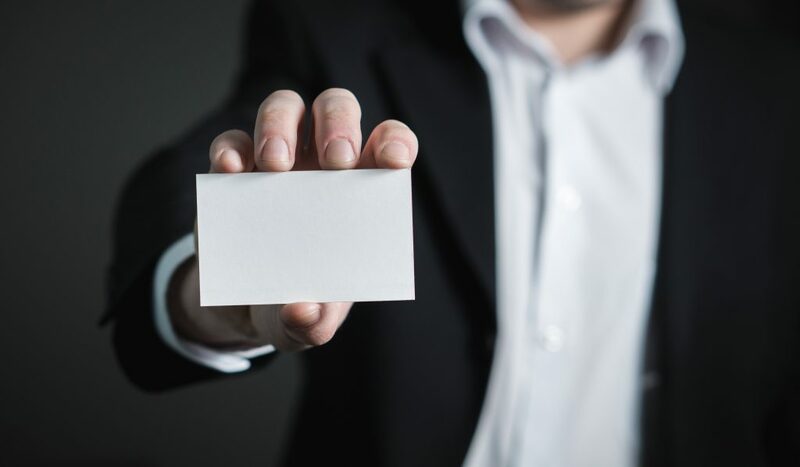 In fact, there are thousands of ways you can format your business card, many options when it comes to the information you include, and even more ways you can make your business card stand out. It’s tempting to reduce the font size and include every last bit of information you have on your business card. I have seen cards that include the ‘standard’ contact info (name, title, business name, phone, email, website), plus every social network profile, a sales pitch, a comprehensive list of services and a bio. If you have this much information on your card, you are most certainly losing the recipient’s attention due to information overload. If you want to add some spice to your card – let your logo be the design element that adds interest and keep the text simple and straightforward. With affordable business card printing, it’s very common to have full-colour text and designs on both sides of your business card, which makes sense – no point in leaving a whole side blank! But, avoid the temptation to completely cover every white space on your card, unless absolutely necessary. It’s impossible for your recipient to make notes or jot down a memory trigger when there is no room to write, when there is a dark colour covering the entire surface, or when a high-gloss finish is applied to both sides. For those who regularly use business cards for note-taking, your black, glossy card may not make the cut for them. However, if you have two opposing identities — let’s say you’re a graphic designer by day and a tow truck driver at night – you should create a business card for each business to avoid confusion and speak directly and appropriately to each distinct audience. There are so many ways to make your business card stand out when it comes to the design. You have no doubt seen some very effective business cards that use attention-getting finishing features such rounded corners or other die cuts, holes punched through, unusual sizes, embossing, foil accents, and folds that can turn a simple card into a mini-brochure. Any of these options may work for your business card, but make sure you are selecting a finish that is relevant to your brand, not just something cool to try. Be aware though that ‘special’ finishes can start ramping up the price, so keep an eye on your budget!